Providing you the best range of multi head pouch packing machines with effective & timely delivery. 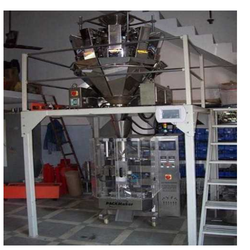 We have emerged as the foremost manufacturer and supplier of Multi Head Pouch Packing Machines. With the help of our proficient professionals, these packing machines are manufactured using quality approved components and innovative technology in adherence with industry norms. Furthermore, these packing machines are available in different designs and sizes to meet the demands of clients.